The 25th Annual FCCA Cruise Conference & Trade Show was held in San Juan, Puerto Rico from November 5 to 9, 2018. The FCCA Cruise Conference & Trade Show is the largest event of its kind in the region. This year’s conference was attended by over 1,500 delegates comprised of Prime Ministers and Ministers responsible for Tourism, Directors of Tourism, Destination Representatives, Tour Companies, Marketing and Promotional Companies and executives from various major cruise lines. 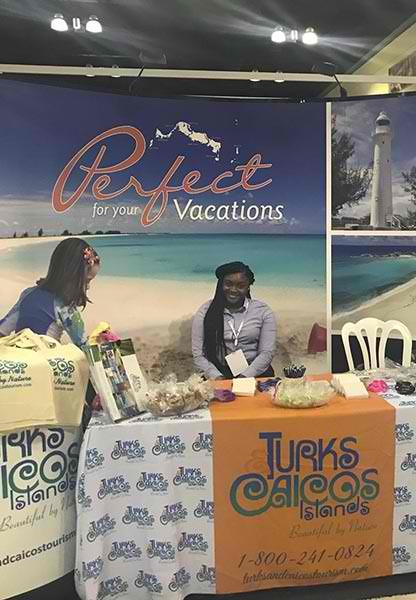 The delegation from the Turks & Caicos Islands included Candesha Mills, Product Development Officer; Shaleeya Richardson, Visitor Receptionist and Correy Forbes, Board Member of the Turks & Caicos Islands Tourist Board. 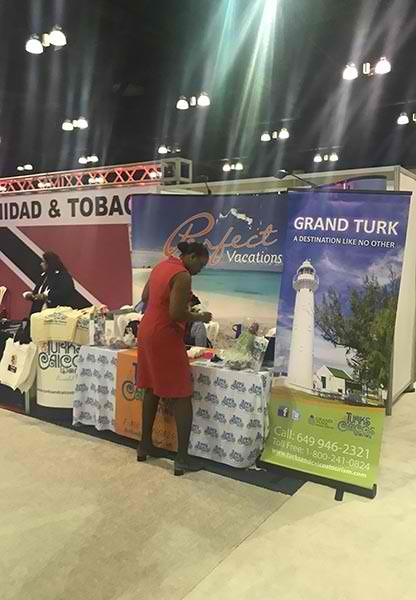 The Florida Caribbean Cruise Association (FCCA), the trade association representing the mutual interests between the cruise industry, destinations and stakeholders in the Caribbean and Latin America, hosts the annual conference and trade show which the Turks & Caicos Islands has attended for several years. The five day schedule offered participants a series of meetings, workshops, networking opportunities with high-level executives from FCCA Member Lines, which operate about 200 vessels and 95 percent of the global ocean cruising capacity. Commenting on her participation at the conference, Mrs. Candesha Mills stated, “The conference sessions and workshops were very informative and provided insight on the various challenges and issues that most destinations are facing and how to efficiently respond. We also learned how the relevant stakeholders and governments are building partnerships and working together within the FCCA to achieve a common goal and to deliver excellent guest experiences. We were grateful to be able to attend the conference to hear firsthand from other destinations on what they are doing to help promote and sustain the cruise industry. We were also excited for the opportunity to showcase the destination at the Trade Show”.